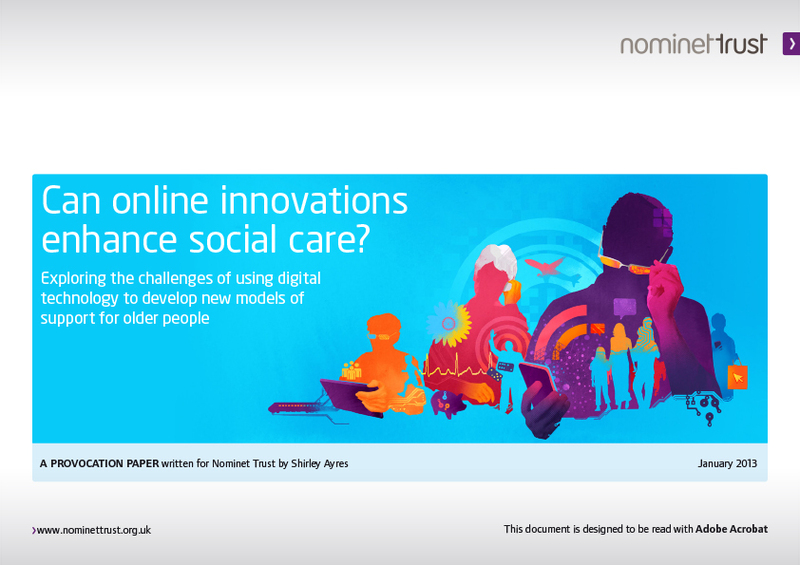 Take a look at our latest resources and publications. 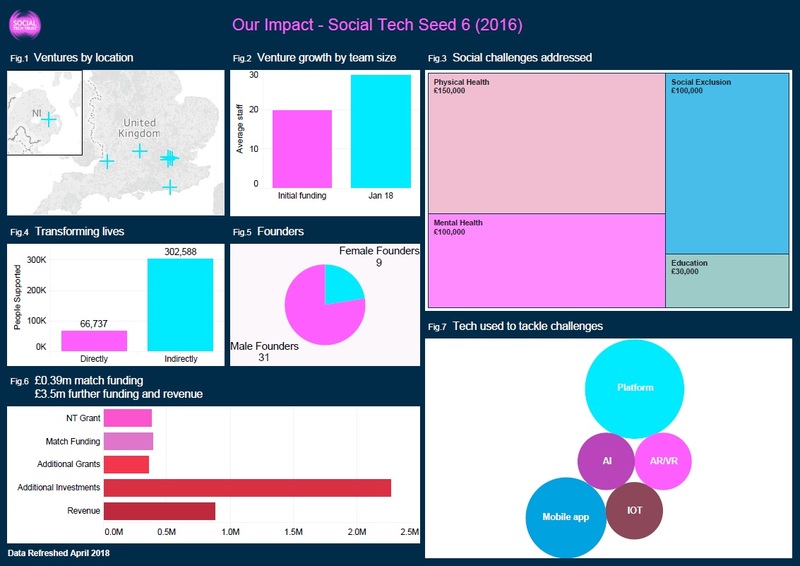 Take a look at the headlines from Social Tech Seed 4, 5 and 6. 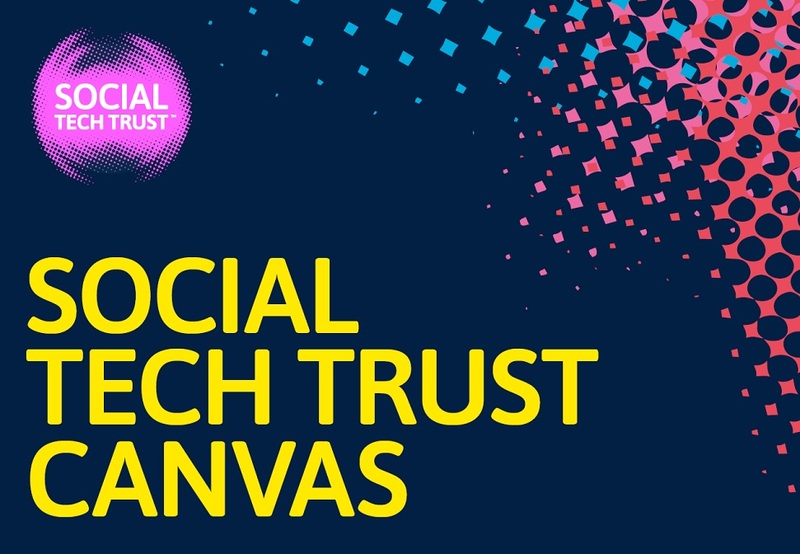 Complete the Social Tech Trust Canvas template and submit it with your Stage 2 Innovate Social Tech, Tech to Unite Us grant application. 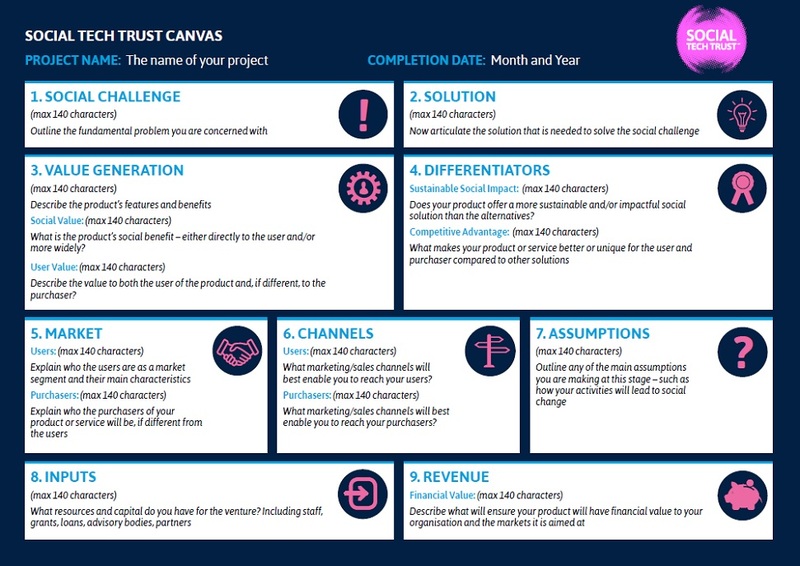 Download the Social Tech Trust Canvas Guidance Paper to help you tell the story of your organisation and to complete the Canvas template for your Stage 2 Innovate Social Tech, Tech to Unite Us grant application. 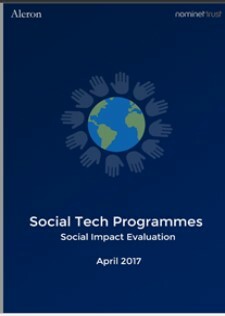 Download the Social Tech Trust Project Plan Template to complete and upload with your stage two Innovate Social Tech, Tech to Unite Us grant application. 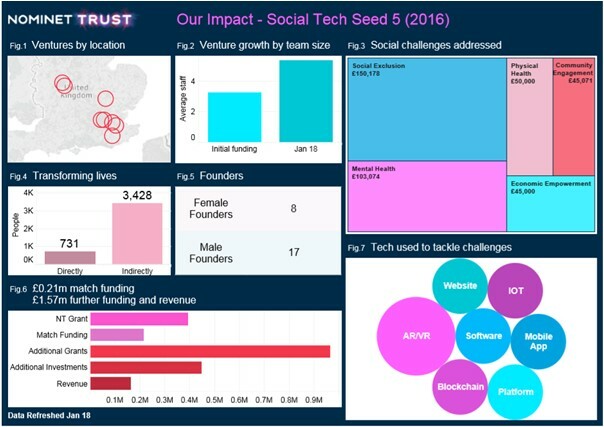 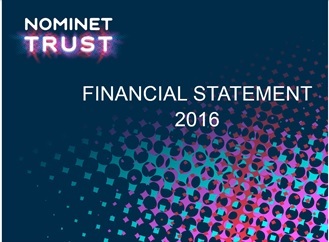 Download the Social Tech Trust Project Budget Template to complete and upload with your stage two Innovate Social Tech, Tech to Unite Us grant application. 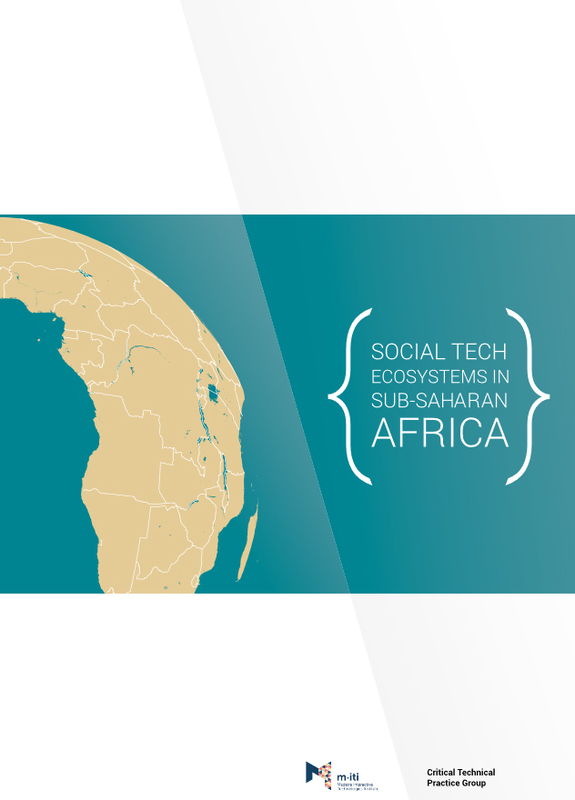 A study by Madeira Interactive Technologies Institute (M-ITI) commissioned by Nominet Trust, Comic Relief and Indigo Trust, explores how the social tech ecosystem in Sub-Saharan Africa can be strengthened to help grow social tech initiatives. 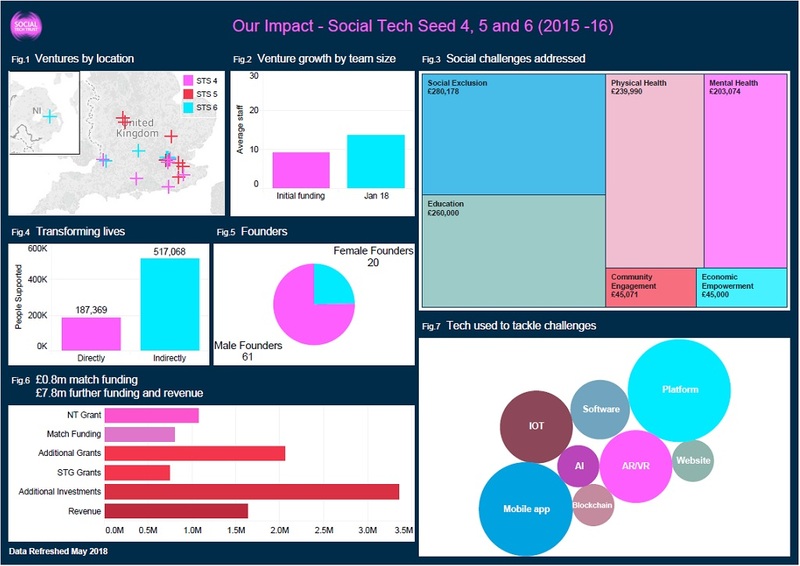 Take a look at the headlines from Social Tech Seed 6. Data recorded, April 2018. 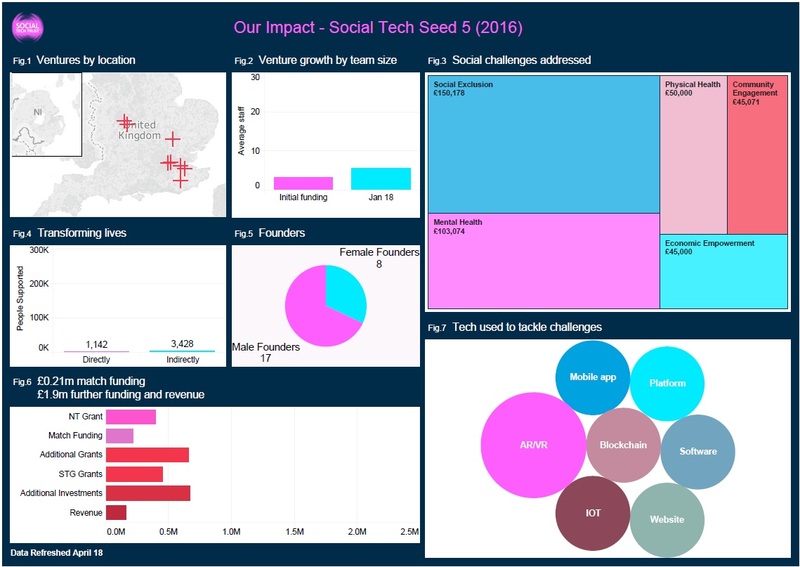 Take a look at the headlines from Social Tech Seed 5. Data recorded, April 2018. 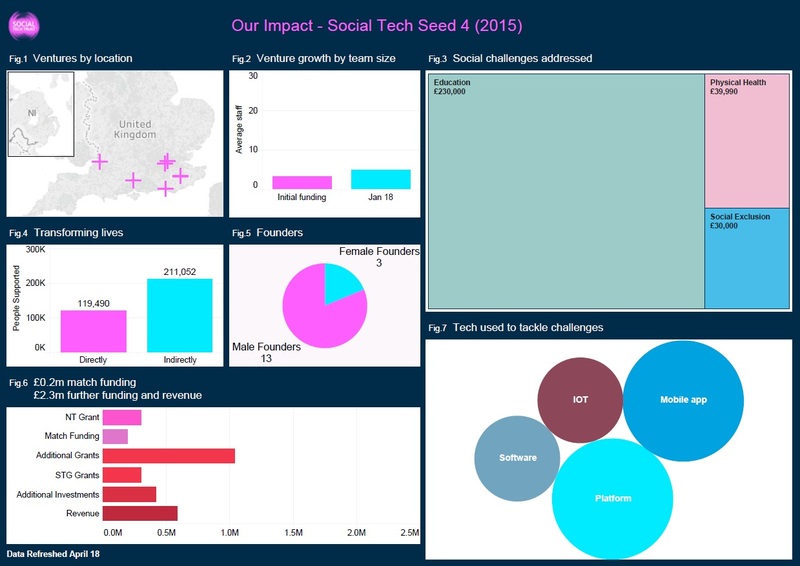 Take a look at the headlines from Social Tech Seed 4. 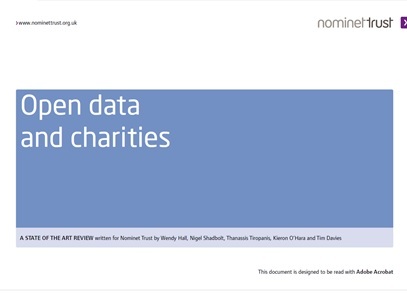 Data recorded, April 2018. 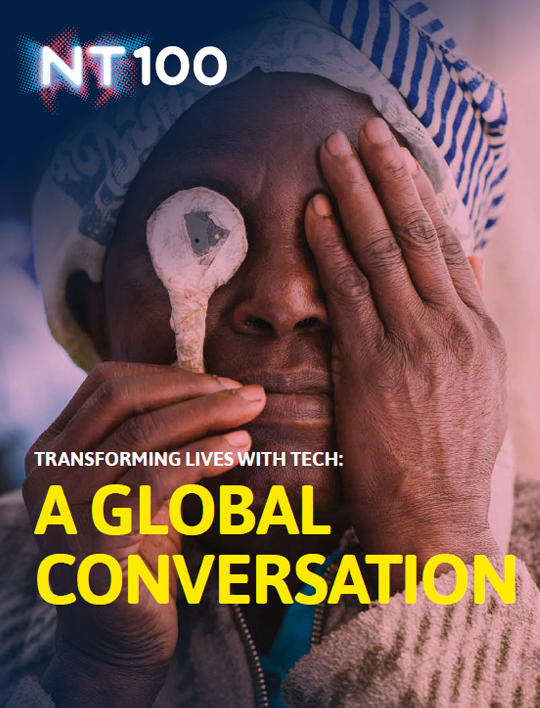 In our new podcast series, we meet the experts and activists to ask those all-important questions about socially motivated tech. 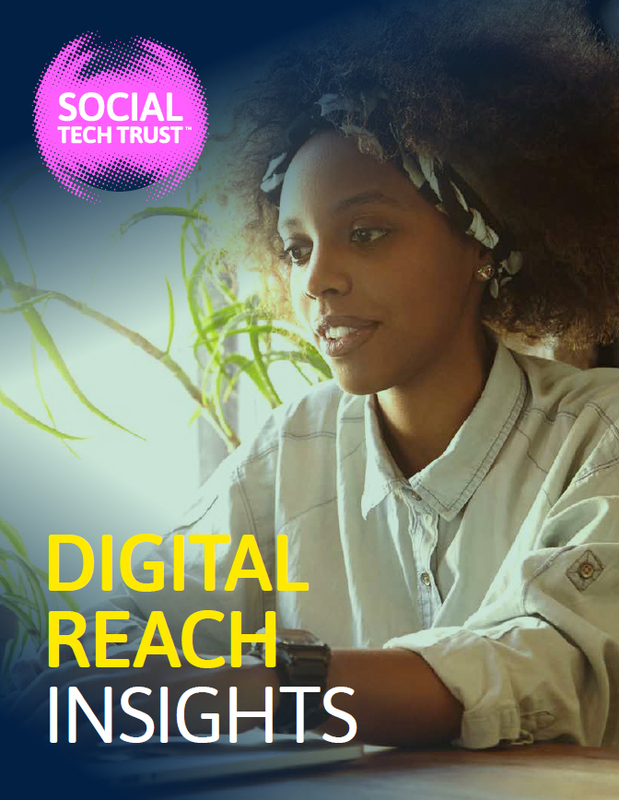 To celebrate five years of NT100, our latest report reveals some key insights about what it takes to enable social tech ventures to scale and looks at future trends in socially transformative tech. 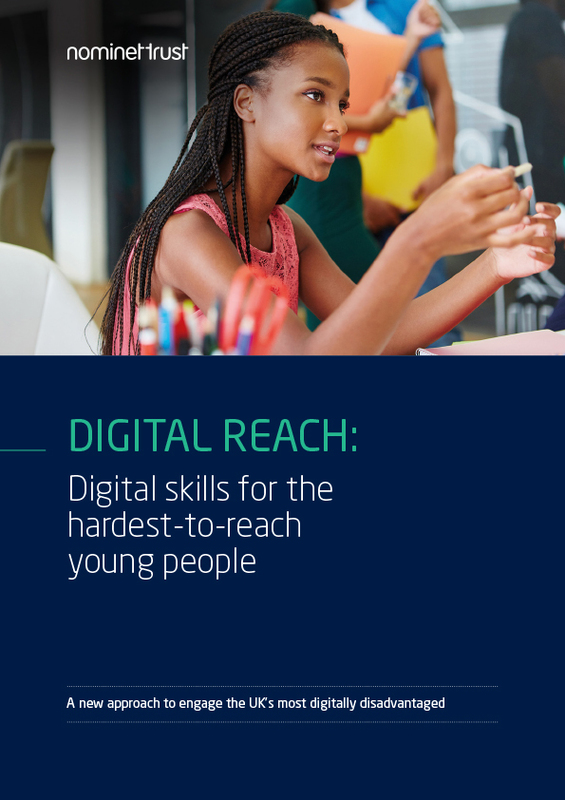 Digital Reach reimagines digital skills delivery by putting expert youth organisations at the heart of programme - those with existing and trusted relationships with the hardest-to-reach young people. 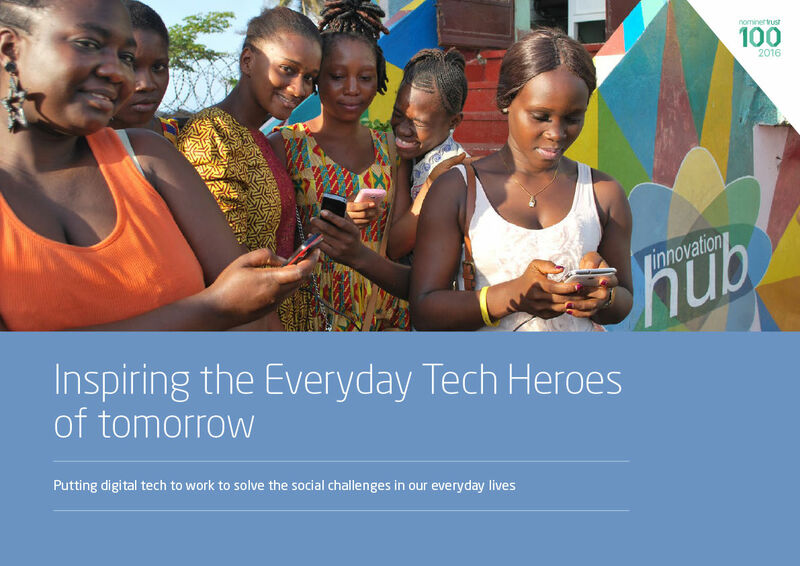 Discover some of the inspiring pioneers featured in the 2016 NT100, who are putting digital tech to work to solve the social challenges in our everyday lives. 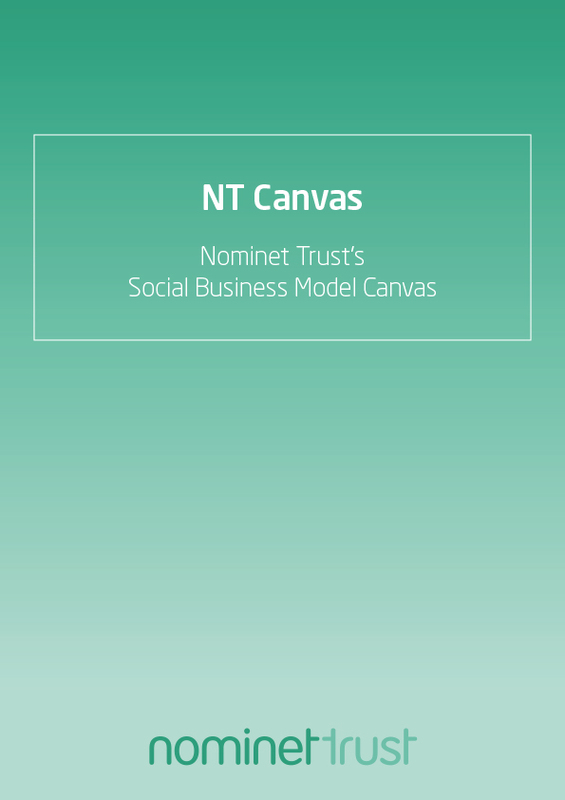 The NT Canvas helps social tech organsiations tests their assumptions and supports the creation and assessment of a business model and a business plan. 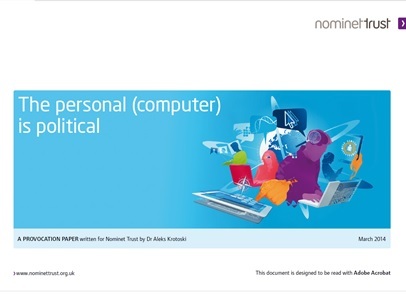 Try it out here. 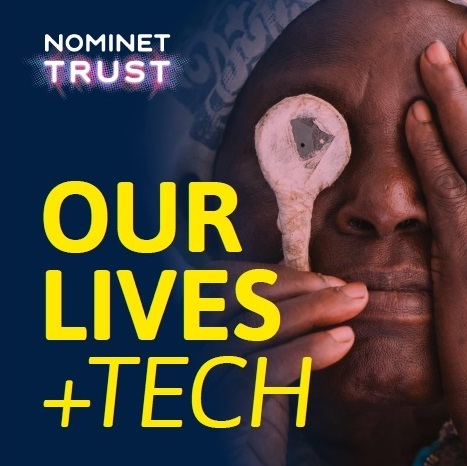 Hear how the NT Canvas enables socially motivated tech ventures to begin testing their core business model right from the outset. 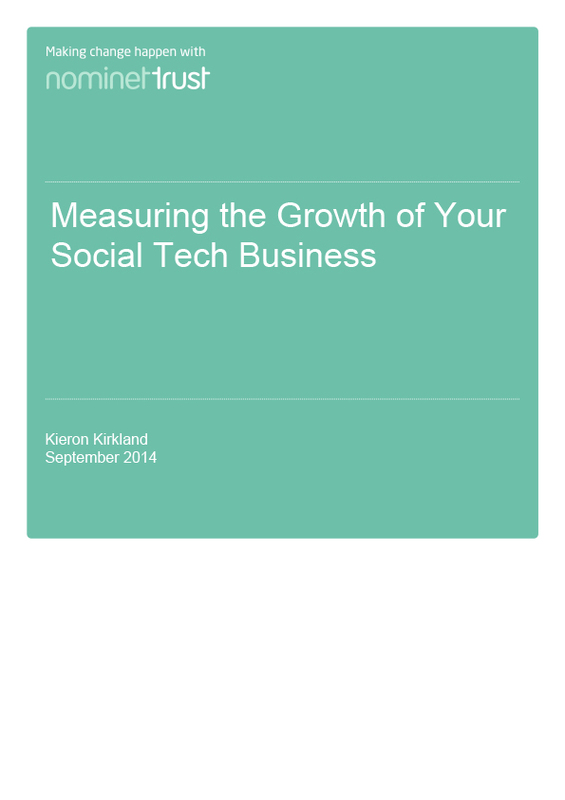 Measurement is an important part of developing any business and a social business is no different. 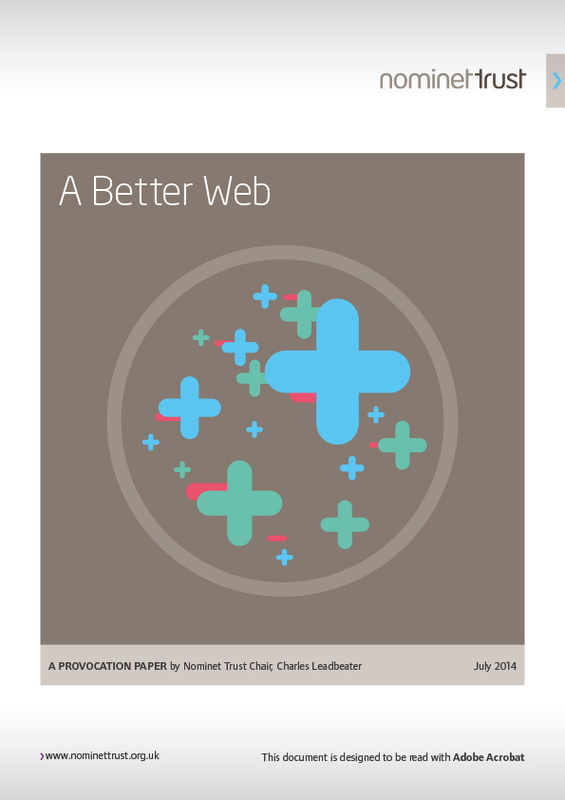 This paper explores how you can measure the growth of your venture. 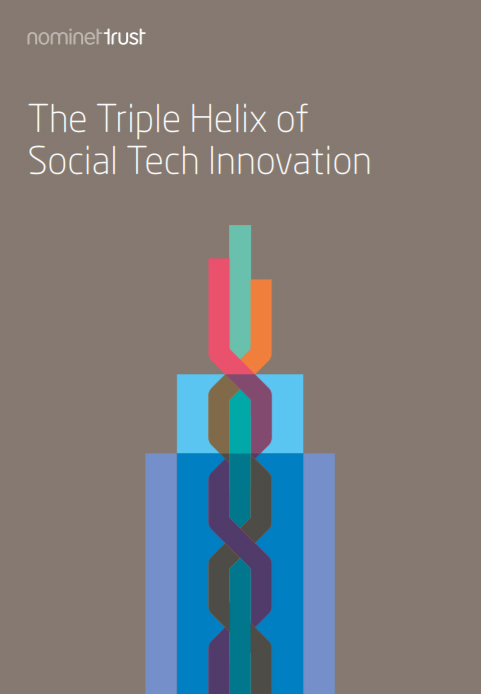 This paper describes the way in which the three values of social tech - social, user and financial - interrelate at different stages of a venture’s development. 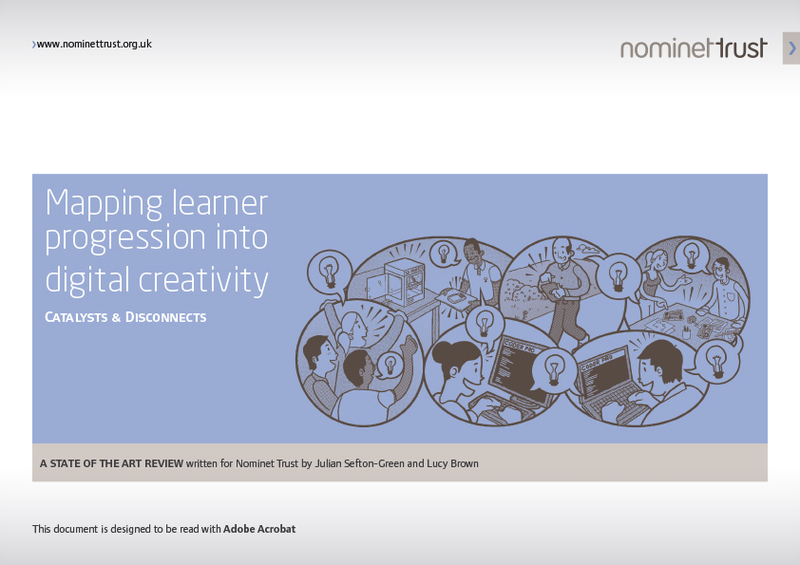 It also hints at the dynamic, changing nature of the ways these values are articulated and demonstrated over time. 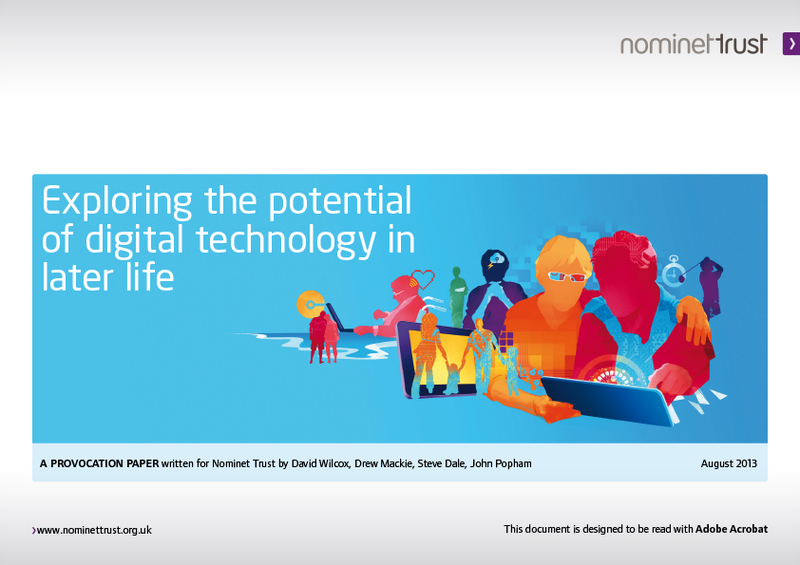 This paper explores how we can reclaim a sense of control over technologies and respond to our unease around the internet. 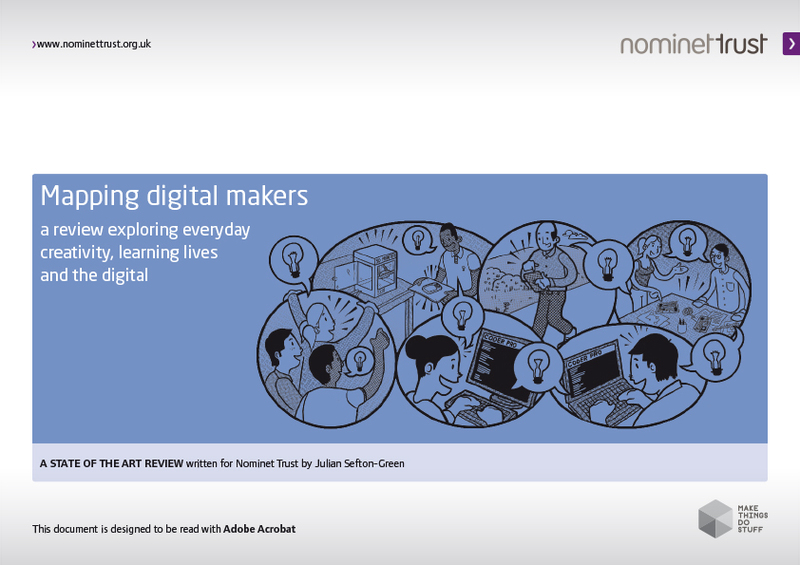 Understanding how digital tools are made helps us to recognise how they afford, constrain and mediate our actions – from the many new opportunities for connection that they afford, to the obvious character constraints of Twitter to the less obvious constraints of how a search engine presents only the ‘relevant’ links to you. 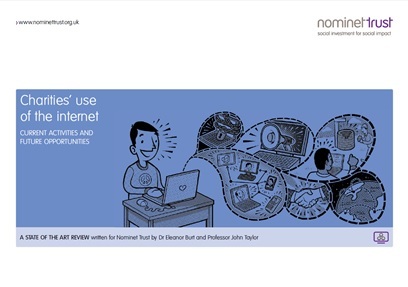 Oxford Internet Institute explores why there is a significant minority of young people who are not able to navigate or connect properly in our online world. 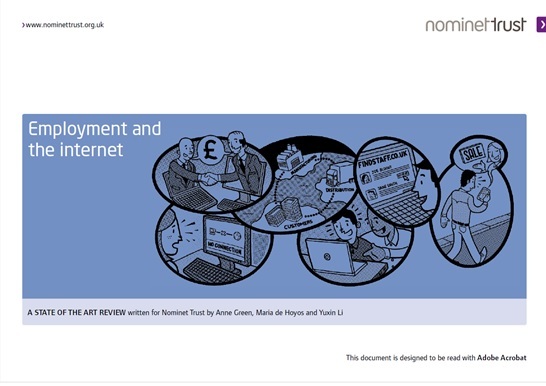 This document provides a baseline of data around employment and digital technology. 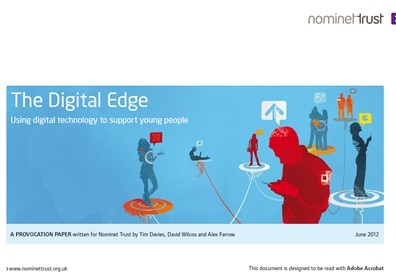 This insight paper aims to stimulate thinking and raise questions that may inspire new debates, approaches, tools and technologies to better address the multiple challenges, needs and issues facing young people, particularly those who are out of work or not in education or training.